Will Ebbsfleet be a Garden City a New Town or an overblown Housing Estate? Ebbsfleet Garden City or New Town or Housing Estate? 1) will it, like the real Garden Cities (Welwyn, Letchworth etc) be an idealistic private enterprise project with an emphasis on gardens, parks and landscape development? No. 2) will it, like the post-1946 New Towns, be a central government project, making money by buying land at agricultural prices and selling some of it at development land prices? We have not been told – but I doubt it. 3) will it be a subsidised housing project with few objectives except ‘get ’em up in time for the next election’? Quite likely. 1) will it be a ‘city’ of houses with generous gardens and parks? I doubt it. 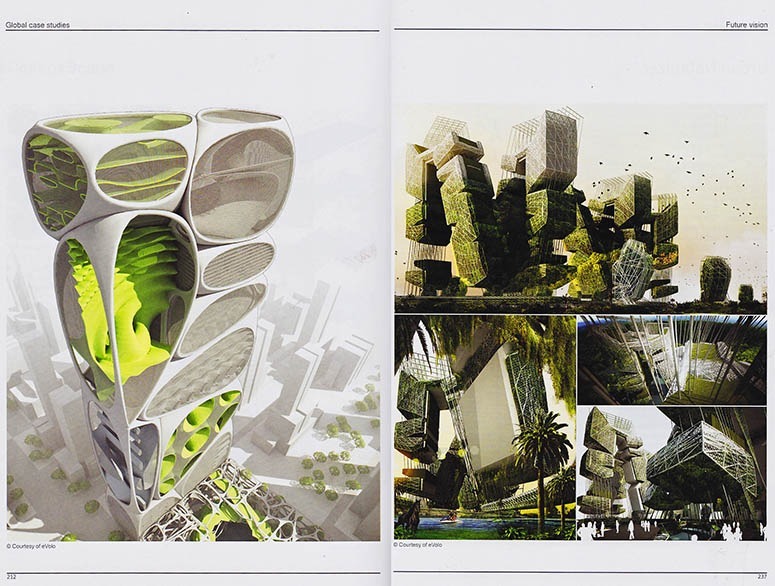 2) will it, like most contemporary residential projects in and around London, be a development of medium-rise residential blocks with no ground-level gardens, no green living walls and no roof gardens? Very probably. So what should be done? I have no objection to using a development corporation to take the project out of local government control (until it is built) PROVIDING central government involvement is used to achieve public interest objectives. They should use development corporation powers to streamline and enhance the planning process. Then they should spend much of the promised £200m on green infrastructure. This would kick-start the project, as is desired, and achieve public goods comparable to those provided by the Garden Cities and the New Towns. It is significant that the population of Ebbsfleet ‘Garden City’, at 15,000, will be the same as that of England’s best twentieth century housing development: Hampstead Garden Suburb. The Suburb (which is what Ebbsfleet should be called) was designed ‘on garden city lines’ using the transition concept developed on the great estates of the eighteenth and nineteen centuries. 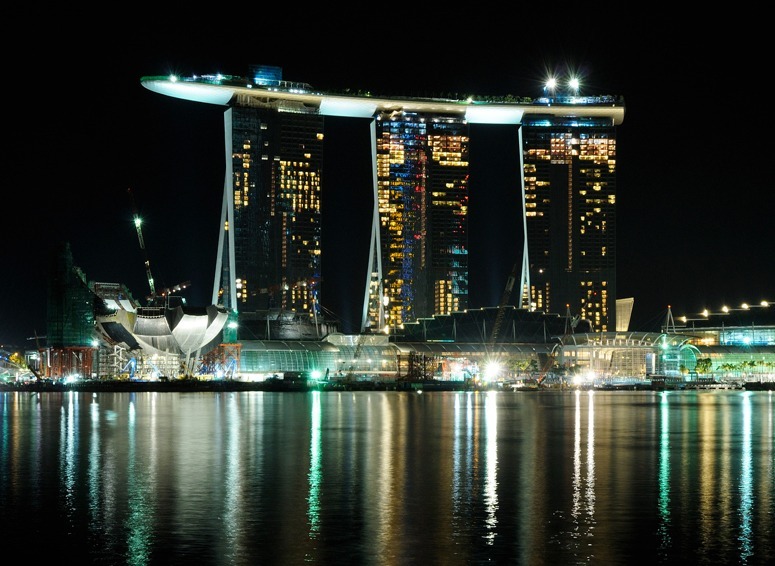 This entry was posted in landscape planning, Urban Design on 18th March 2014 by Tom Turner. In Australia, ‘Melbourne’s street art puts it in on the tourist map (alongside Berlin, New York, London, Los Angeles and SaoPaulo) enabling it to compete with Sydney and the famous harbour and Opera House’. So Melbourne has an enlightened policy on street art and the city council hosts a gallery of street art. We aim to keep all council property free of graffiti, but we need your help. If you report a graffiti problem to us, we will deal with it. You can report by mail, phone, email or online form using the details on the right. If you can, please provide details about those responsible for the graffiti. We will try to make them, or their parents or guardians if applicable, to pay for the graffiti removal. Our cleaning team will inspect and remove offensive and racist graffiti within 24 hours. Other graffiti on the outsides of Council property will be removed within three working days. The team will also remove graffiti on private property, although there may be a charge for non-offensive graffiti. We require signed permission from the owner before we remove any graffiti from private property. In some cases – for instance, when it seriously affects you or causes great inconvenience – graffiti can be considered a type of anti-social behaviour. Hackney was long considered the worst-run borough in London but has had more diverse political control in recent years and has undergone rapid trendification. Anyway, the above illustration is from Hackney and the policy is on Graffiti, street art and murals. One could regard it as enlightened, at least in comparison to Greenwich eg ‘We recognise that some people consider that street art makes a positive contribution to the urban environment. 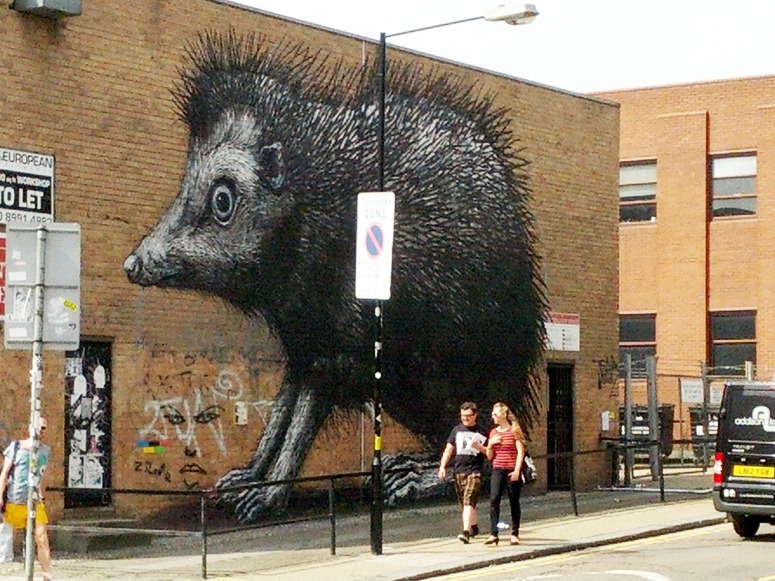 If your property has a piece of street art or mural on it, you must contact our Environmental Enforcement team to let us know that you would like to keep it.’ BUT the Hackney Hedgehog is on a building marked ‘to let’ so it was probably done without the owner’s permission. Does this make it graffiti and an act of vandalism attributable to migrants from Eastern Europe? The poor beastie looks a bit underfed. Or is it political activism by deep ecologists who want more more planning for nature in urban areas? 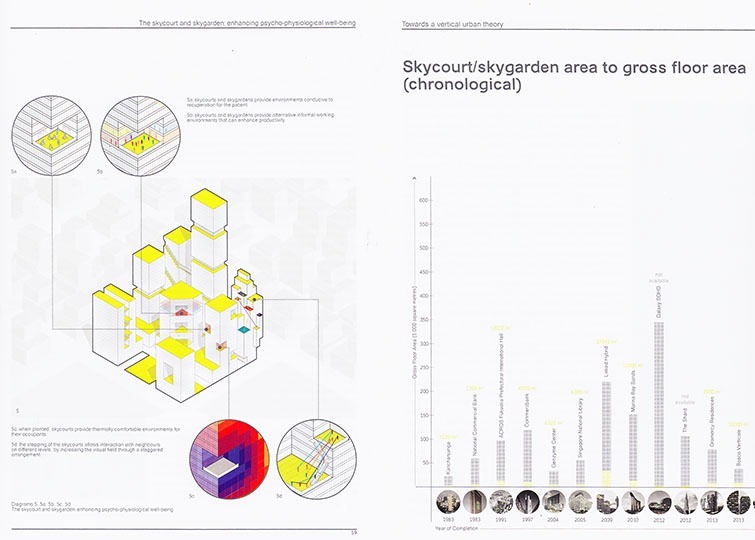 This entry was posted in context-sensitive design, Urban Design on 13th March 2014 by Tom Turner.